Hi there ! my school almost done. I will be here after semester end! 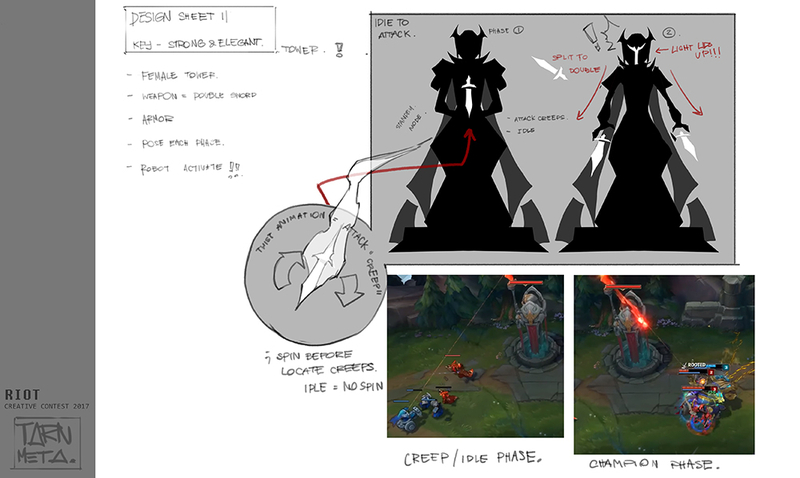 I want turret in LOL to be able to move during attack phase. ( have some animation ). 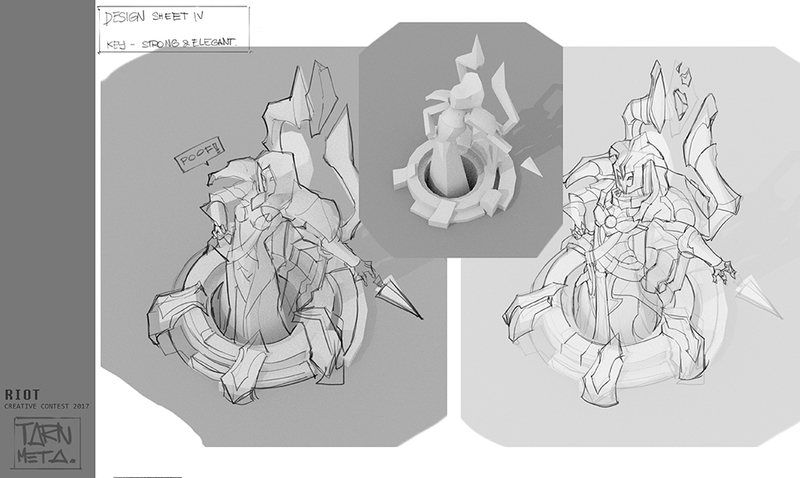 Anyway.. this is kind of my dream to see turret in LOL actually can be able to move follow attack direction. 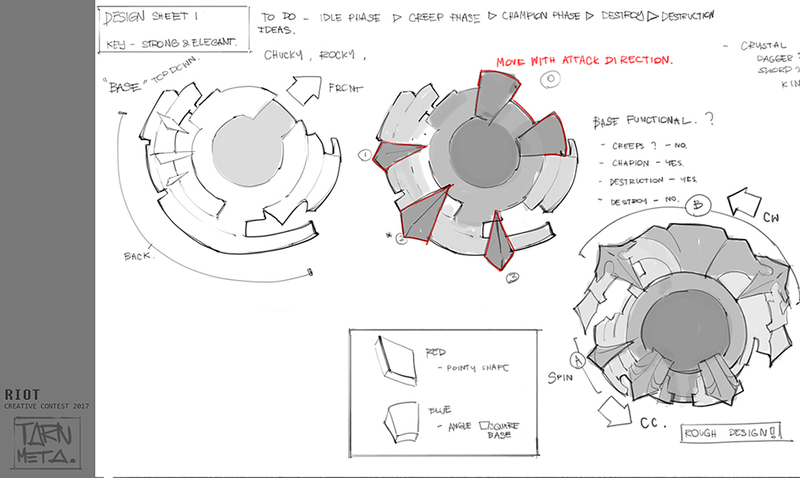 I want my turret to be heavily design before I jump to 3D. Please apologize my English is not great. So I start of to think how many phase turret should have. there gonna be outer ring and inner ring which rotate clockwise and counter clockwise. The big ring probably follow statue direction , the smaller one just move around look more like indicator. 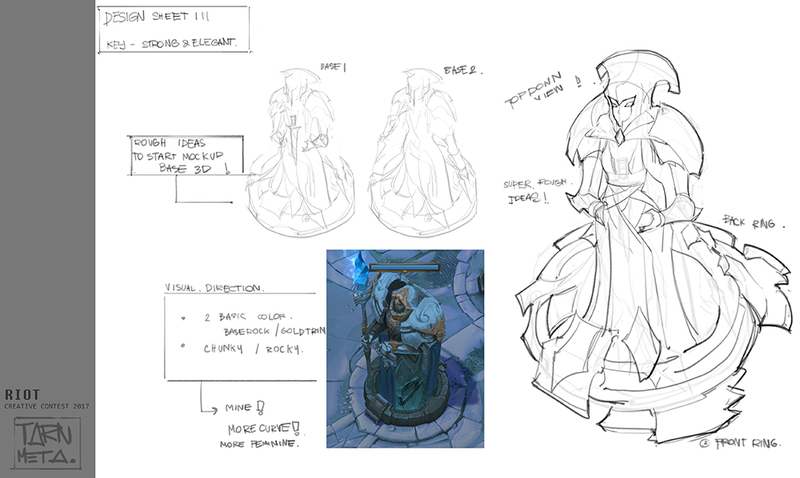 When idle I want her to look like stone stay still noting happen. 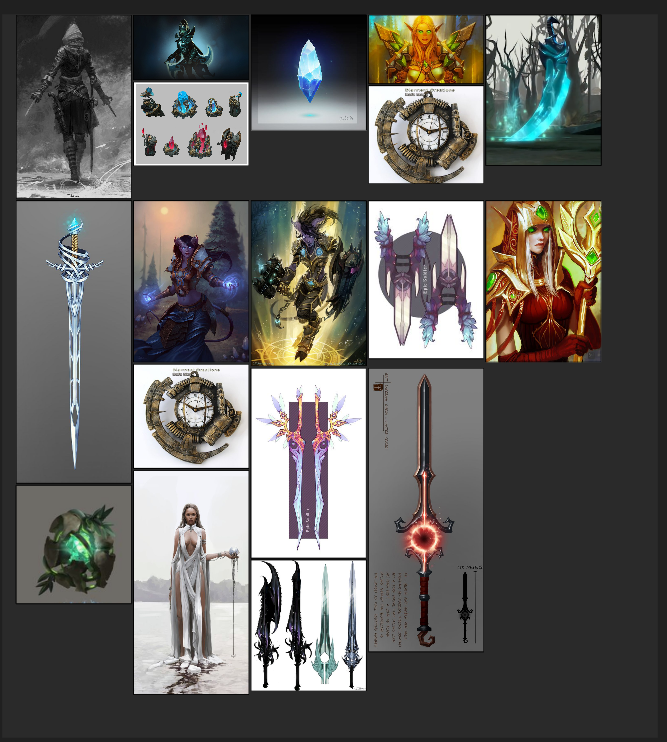 then she start to lights up on eye ( maybe not sure ) and throw off dagger with animation.